In this article, you will learn how to add your Walmart account into Kyozou and list products to Walmart using Kyozou. Navigate to https://seller.walmart.com and login with your Seller account. Click the “Settings” tab at the top right corner and select “Consumer IDs & Private Keys” under the API section. You will see a “Consumer ID” field. You will also see a field for “Private Key” Click on “Regenerate Key” if you don’t see any Private Key appearing. Login to your Kyozou account. You will see 4 fields for adding a Walmart account.Walmart Username: This is the Username you’d like to display in Kyozou for your Walmart account. (A way to distinguish which account you’re using if you have multiple Walmart accounts)Walmart User eMail: Insert the eMail that you use to login to Walmart with.Walmart ConsumerID: Copy and Paste the ConsumerID you generated on your Walmart account into this field. Walmart Private Key: Copy and Paste the Private Key you generated on your Walmart account into this field. Click “Next Step” to save your settings. Uncheck the checkbox to display the Walmart product fields. Walmart Account: Select your Walmart Username that you created in the Control Panel.Price: Insert the Price of the Product. Promotion Status: Use this if you’d like to add a Promotion/Sale to your Product. Shipping Overrides: You can set up shipping rules directly on Walmart, If you’d like to override those shipping settings you can do so here. Override Title/Subtitle: Enable this checkbox if you’d like to override the Title of your product. Walmart has a 200 character limit for the product title. Industry and Subcategory: Select the Industry and Subcategory for your Product. Once both dropdowns are filled in, a set of Walmart specific fields will appear. Please note: UPC, SKU, Description, Brand and Shipping Weight are mandatory. If you have SKU, Brand, Description and Weight previously filled in at the top of the product details page, that info will be sent to Walmart and won’t need to be filled in. Click “Add Product” to create your Product. Listing items to Walmart are done via the Multi-Lister/Launch New Listings page. 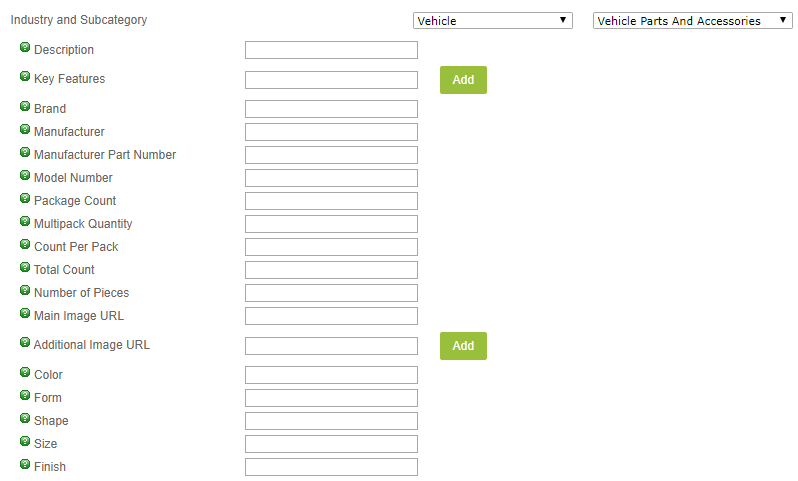 Find the items you’d like to list and select them with the checkbox. Click “List To Multilister” once you’re done. The item(s) will go into pending status.